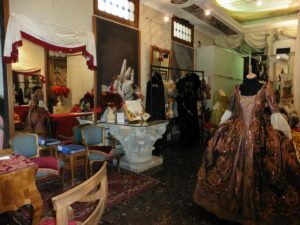 We are a worldwide excellence in the production of historical costumes. 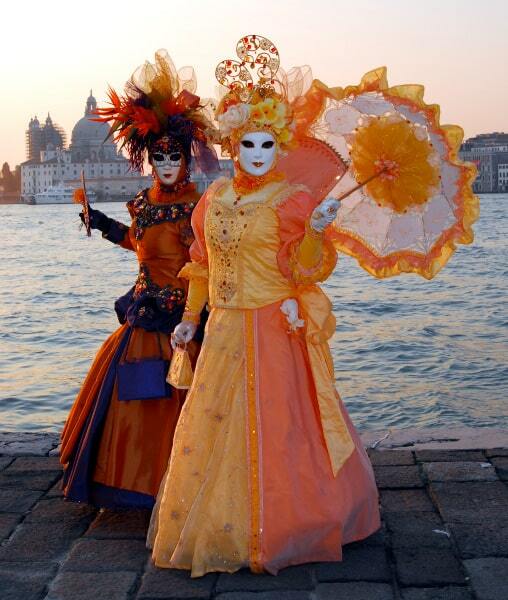 We work with theatres, cinema productions, shows and of course, the Venice Carnival. The doors of our fashion house are open to you. Visit our world.. and receive a portable gift! Close your eyes and picture yourself in the past.. 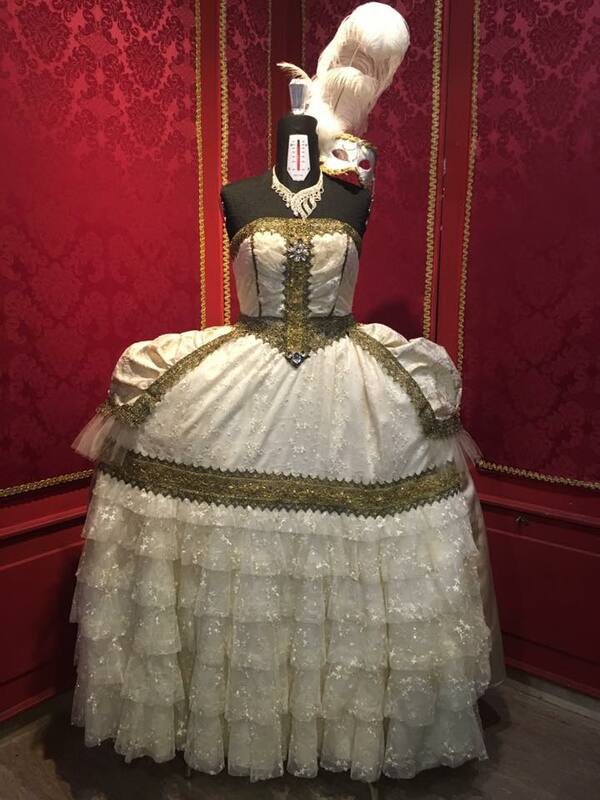 In front of a big mirror, a rich Venetian lady is trying on a woderful dress. The best couturier in Venice realized it for her and now he’s fixing the last details. Pearls, laces, brocade, the most refined materials. The lady cannot believe the beauty of the dress. She looks at herself, stunned by the intensity of its colours. A dress like that had never been seen in Venice. The couturier is a master, he couldn’t have done it better. The lady is ready for her night out and to enchant the city. And you as well. This is the kind of history we live every day in our fashion house. Our passion is to recreate the fashion of the past centuries, by studying in detail the costumes of the past. Such intensive research allow us to reproduce them in high fidelity. This work requires the maximum precision in couture and the use of the original fabrics and techniques. By working in our fashion house, we live in all times and we would like to accompany you too in this amazing trip among refined French dresses, the splendour of Flamish fabrics, the dazzling elegance of Venetian costumes. Explore with us the microcosm of our fashion house, where more than 250 costumes are stored. We will tell you about our history and the works we have produced cinema, theatre and much more. 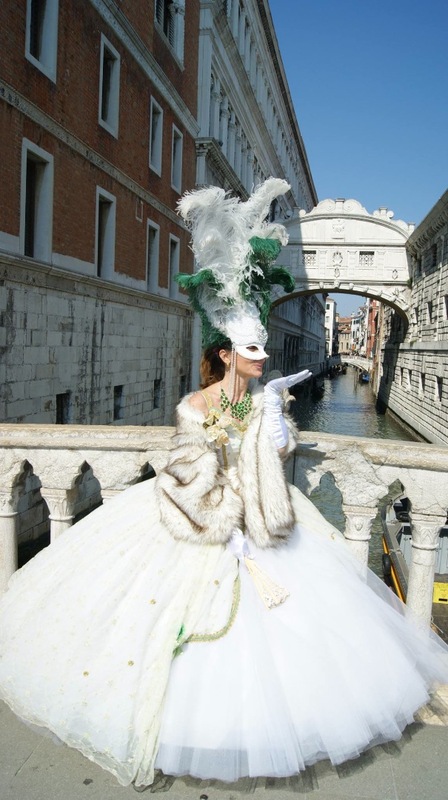 Our costumes are everywhere, but most of all we love to see them around Venice during the Carnival and the ceremony of Volo dell’Angelo. You will be able to see the projects on which we are currently working and you will learn how our work adapts to each one of them. At the end of the tour, it will be our pleasure to offer you a gift from our fashion house. A buffet can be provided during the visit in case of request by the group. Contact us in case you are interested in thi experience and would like to know if there are any groups already formed. We will let you know as soon as possible. You can use the “Contact us” key on the right side of this page. Visit of the fashion house, demostration of work on costumes, gift. For cancellations, a penalty of 10% of the price will be withheld. On request it will be possible to make the visit in English, French, Spanish and German. A student from Ca’ Foscari University will be your interpreter.